When you edit multi window, what does that disabled Create button do? 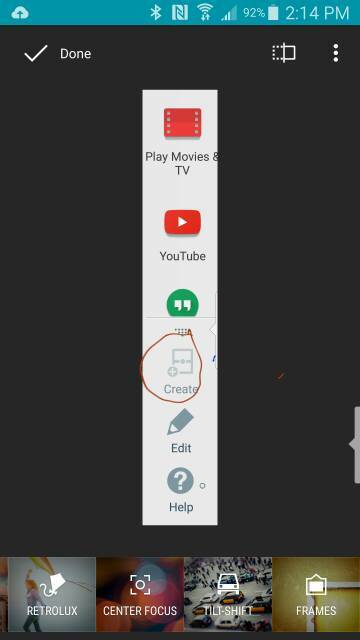 It's for creating a shortcut to have a specific pair of apps open at the same time. Give it a try. Open 2 apps at the same time, go back to the create button (it won't be disabled then) & select it. There'll be a new shortcut in the Multi Window panel showing those 2 apps together. When you select that shortcut, no matter what you already have up, it'll load both those apps. How I can create secondary internal storage partition? I want to create a texting template. Why don't I, all of a sudden, have the option to move apps to my SD Card (HTC 516)? Why can't I swipe windows in stock browser since 4.4.2 update (Samsung Galaxy S4)?